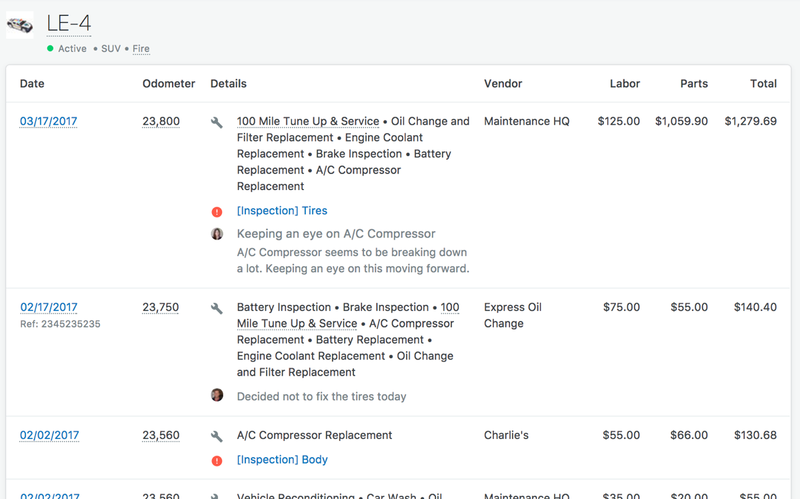 Store and view a complete service history for every asset in your fleet, including in-house and outsourced maintenance. Whether you perform maintenance in-house or outsource it, Fleetio stores service records for all your assets in one place making it easy to view history at any time. 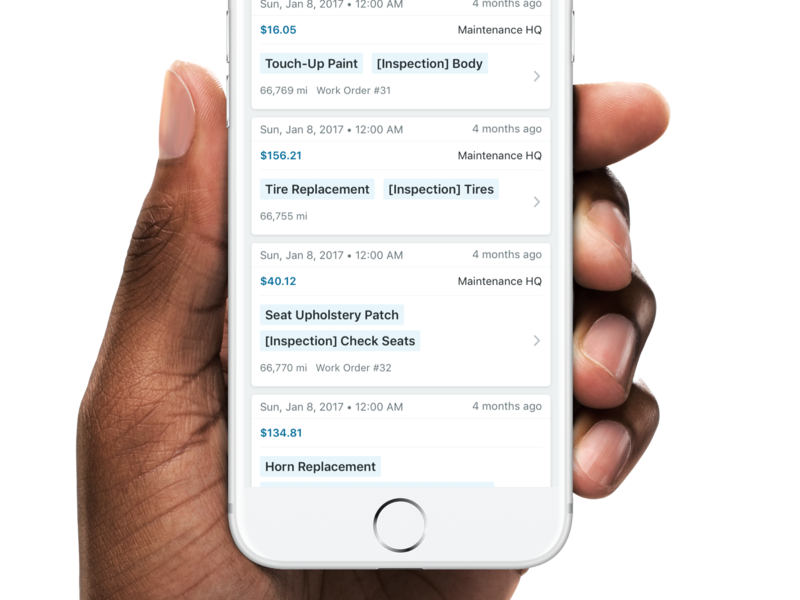 Keep detailed service records and identify which vehicles are regularly in the shop as well as their associated maintenence costs. Employees can quickly and easily pull up history and reminders for any assigned vehicle in the Fleetio Go mobile app. See all service, who performed it and when helping you gain insight into a vehicle's current and past condition. 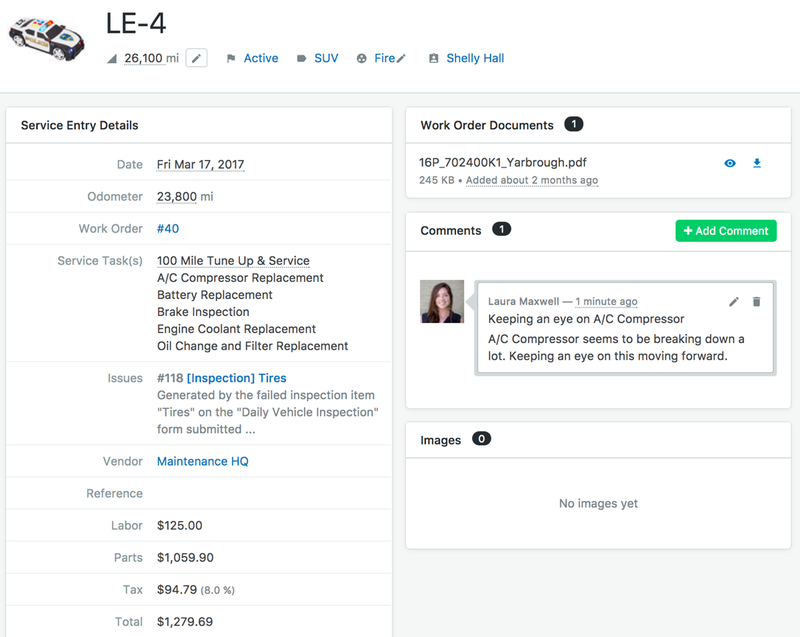 Quickly and easily export history to share internally or when remarketing assets, giving potential buyers a peak into your well-maintained vehicles. Easy to keep track of maintenance, schedule servicing and generate reports.